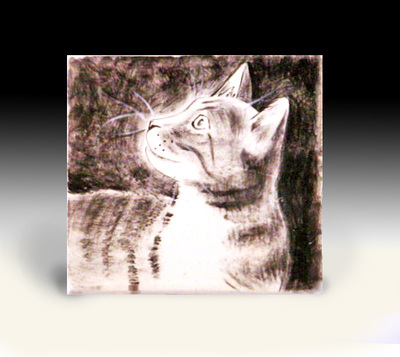 These can be hanged outdoors in a garden as a remembrance tile (see below to order for garden). I ship USPS and charge a flat rate for the tile in the USA of $9-$12.00, (depending on the size). I will add $6.50 for every additional tile ordered. I can get you a shipping rate for anywhere outside the US, just contact me. 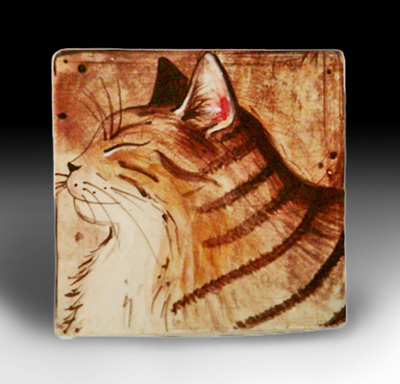 I use low fire clay and therefore under glazes which act like paint. It means that I get more versatility in color and style. I can paint in a contemporary style or more traditionally, choose your style. 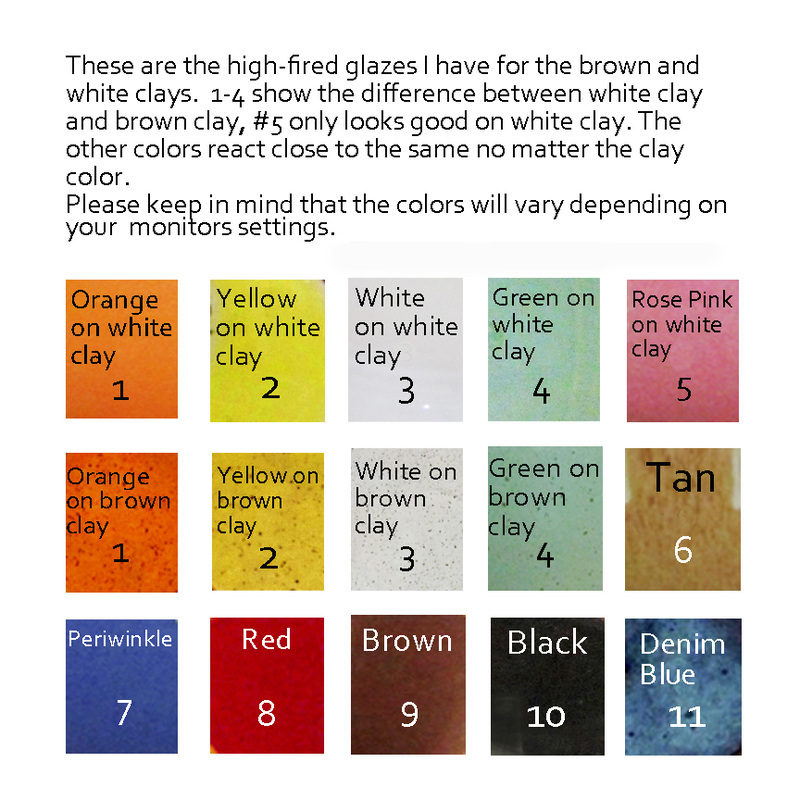 I can create any color for the background, so just send me your preference-don't need to look at the glaze colors listed below. I paint on all five sides and there is a grove on the inside to allow for easy hanging. 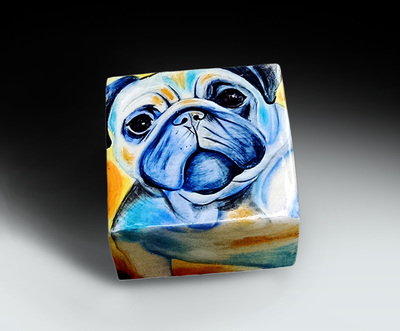 I charge a flat rate of $14 for shipping of the cube in the USA, I will add $7 for every additional cube ordered. Contact me for shipping if you're outside the USA and I'll give you a price for shipping. 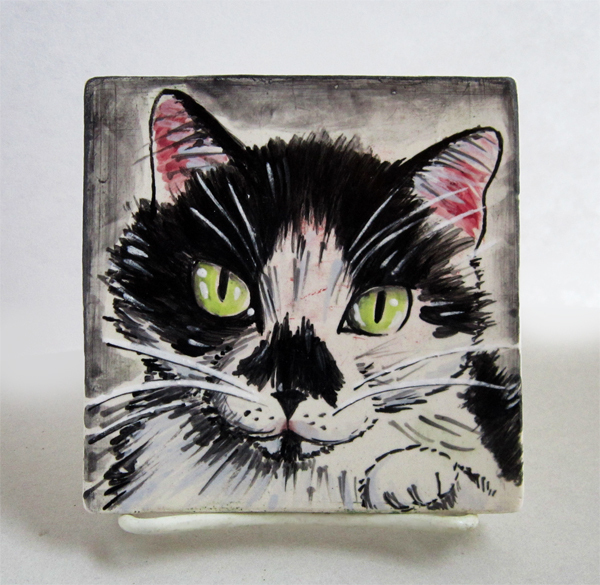 Order your portrait tile of your favorite cat. All I need is a little time and a high resolution photo, or simply tell me the kind of cat you have. These tiles are in white or brown clay depending on the image you send and background color you choose; I'll decide which clay looks best. These tiles are useable indoors or out. With OUTDOOR GARDEN tiles I can put a hole in the top of the tile that would make it easy to hang in your garden as a remembrance tile or simply as decoration, (make sure to indicate in your text if you want this for outdoors and if you want a hole, otherwise there will be a place on the back for hanging. 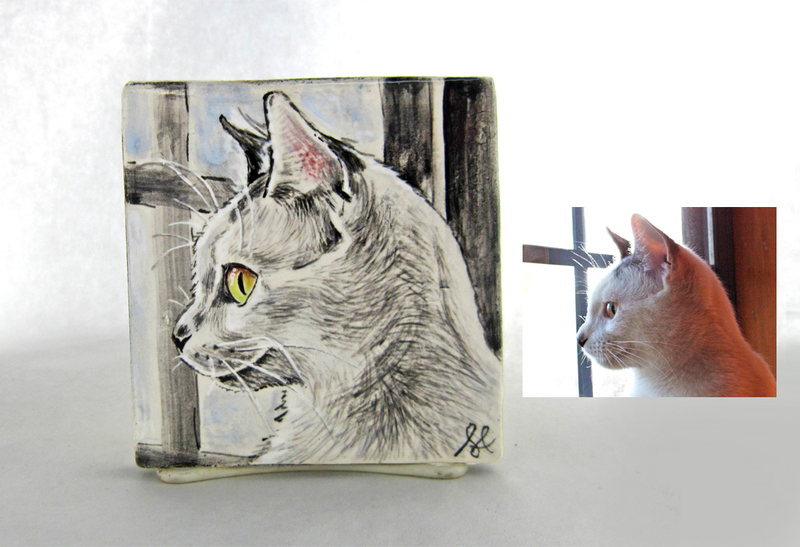 This is a MADE TO ORDER LISTING and I will need 3-6 weeks to make the tile, draw, paint, fire and then ship to you (sorry for the delay). 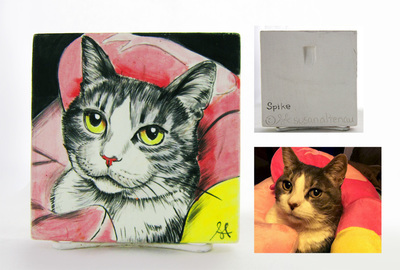 In the end I believe you'll find it worth it and love your cat tile as much as I did making it. Choose your background glaze color.